I visited this school on Thursday the 11th of October and met children from several schools, including the host school Westgate. We talked about books and stories, Greek myths, Beowulf, King Arthur, Merlin and a hundred other things. We planned and wrote a story that had a beginning, a middle with a dilemma and an ending that resolved that dilemma, although we didn’t plan the story in that order. The children wrote very very very good stories and understood how to enrich their work with connectives and adding action.We talked a LOT about the Little Gingerbread Man and how arrogant he was, a tale ending (like Macbeth) in tragedy although Macbeth wasn’t eaten by a fox. The host school was excellent and I was looked after SO well and with such hospitality, as were the pupils and grown ups from the visiting schools. One of the adults, Rahit, was the dad of Hema and Hita and Tom’s mum was there too, so they sent me this photo between them all to celebrate the day. 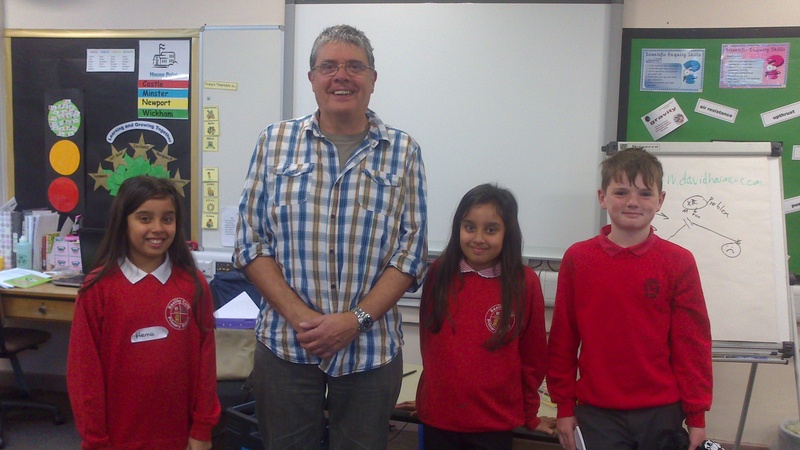 They are pupils at Saxilby C of E Primary school in Lincoln. Thanks to you all, the children and the grown ups worked so hard and it really was a great day.